Look Beyond 38 Qualifying Occupations to Immigrate to Canada! The applicant is residing in Canada as a Temporary Foreign Worker or as an International Student for a minimum span of one year. According to the current qualifying system, Candidates who meet the minimum pass mark of 67 points, have an offer of Arranged Employment in Canada but fail to fulfill the experience criteria also have the freedom to apply under the Federal Skilled Worker Program. However, they must have a minimum of one year of work experience in a Skilled, Professional or Managerial occupation. If the applicant has lived in Canada on a Study Permit or a Temporary Work Permit; has a full time work experience in either Skilled, Managerial or Professional occupation within the last ten years and is easily meeting the minimum pass mark of 67 points, he/she can apply under the Federal Skilled Worker Program. The Action Plan would surely serve as a huge relief for those applicants failing to qualify under the 38 qualifying occupations. 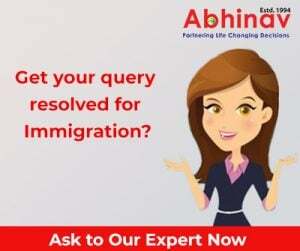 It is better to consult an experienced Immigration expert and know every finer detail of the latest Immigration rules. The Destination to Immigrate – US or Canada!